Should I Stop Counting How Many Books I Read?A neurotic reader’s look at the pros and cons of specific, written goals. Reading Fiction Makes You a Little NicerSave the publishing industry and save yourself. Rachel Cusk’s Rules for LivingIn her new novels, everything counts. The Joy of Reading Miss Manners in 2017It’s an escapist fantasy — but also a quiet study in ethics. The Reason Comic Sans Is a Public GoodIt’s legible to more people. 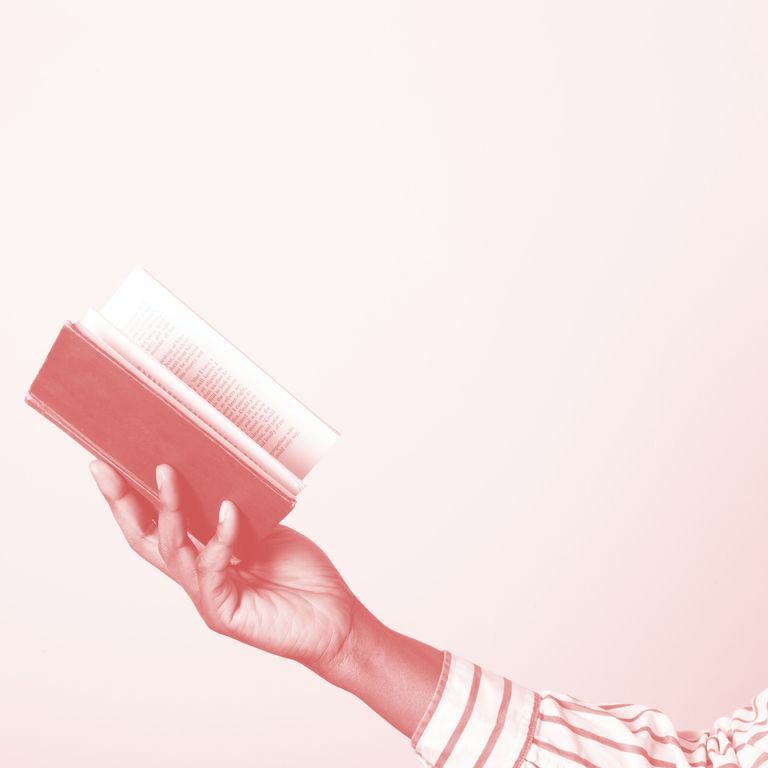 How to Read More Books When It Feels Like You Never Have TimeAll it takes is a few simple tweaks to your routine. 20 Percent of Readers Still ‘Hear’ the Characters When the Book Is OverWhen fictional characters barge into your everyday life. This 4-Year-Old Has Read More Books Than YouDailyah Marie Arana has read more than 1,000 books. When the American Mood Darkens, So Does the Nation’s VocabularyEspecially in times of war or economic collapse. This Viral Trump Syllabus Will Help You Understand How the Mess Was MadeA deep dive into the Trump years behind us — and ahead. Amazon’s New Strategy for Getting Kids to Read Is So DepressingShouldn’t kids be reading books? Everyone Wants to Believe That Reading Good Books Will Make You a Good PersonThe studies on this just keep piling up. Another Reason to Be Smug About Your Superior Taste in BooksReading literature may help you “read” people, too. This Book Is the Female Answer to KnausgaardAnd GUESS WHAT: It’s under 200 pages. You Can Bribe Your Kid to Love BooksIf you do it right. ‘Book Deserts’ Leave Low-Income Kids With Nothing to ReadThe neighborhoods are like food deserts, but for education. Make Your Dad Read Elena Ferrante!A project in honor of Father’s Day. 10 Books We’re Reading Right NowRead with us. The Lasting Benefits of Growing Up Around BooksA new study links access to non-schoolbooks in childhood with a higher income later in life. Tom Brady Loves to ReadHis favorite author is Dr. Seuss. The Sad Truth About Speed-Reading: It Doesn’t WorkThere is, alas, no real shortcut. What It Feels Like to Be a Dyslexic ReaderMany with the learning disorder say a developer’s interpretation is pretty close to the real thing. The Best Books I Ever Stole From My MotherIn honor of the 50th birthday of Valley of the Dolls. 9 Books We’re Reading Right Now Under-the-radar YA novels, forgotten Great American Novels, and, yes, Elena Ferrante. Is Dietland 2015’s Most Surprising Book About Women?Dietland is what you get when you blend commercial women’s fiction, second-wave feminism, and Fight Club. 9 Books We’re Reading Right Now New York in the 1970s, the life of Ruth Bader Ginsburg, and a powerful addiction memoir. Return Ticket: The Memories on My BookshelfRereading is like rewriting ourselves, reinventing the past. The Teens Like Those Old-timey Printed BooksNew data on the reading habits of the youth. If Your Kids Won’t Read, Maybe You Should Find Them Better BooksThree quarters of kids say they want to find more books they like. What Kind of Girl Reads Not That Kind of Girl?White girls with glasses, it seems. Look Away From This Graph, Book LoversGuess whether or not young people are spending lots of money on traditional books? Can Where the Wild Things Are Teach Kids Empathy?The larger life lessons of picture books. What Would You Like Meryl Streep to Read for You?She’s taking requests. Downton Abbey’s Dan Stevens Reads Frankenstein AloudIt could have been a very Downton Halloween. Trendspotting: Summer ReadingWhether it’s an editorial campaign or just a backstage snapshot, a book makes a lovely accessory.